This is Ninimomo’s Raffle Room donation for the 2013 NBDCC. 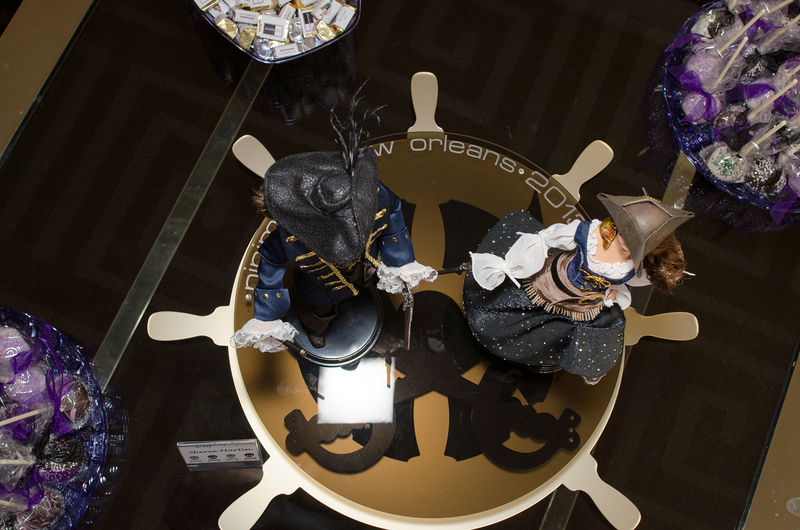 The display created represents a pirate ship’s wheel and is made from gold acrylic ship’s wheel on the bottom layer, black acrylic crossed swords on the middle layer and bronze transparent acrylic on the top layer, embellished with crystals. 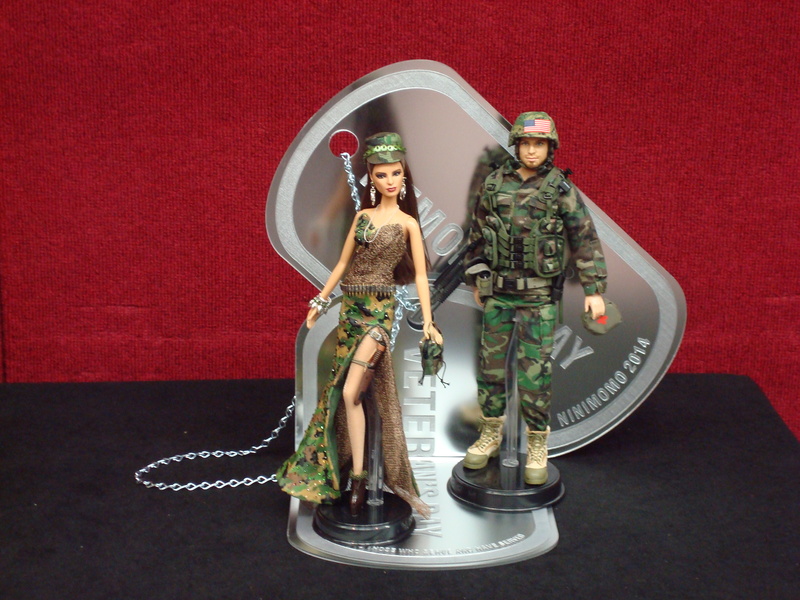 This entry was posted in Convention auction displays on August 31, 2014 by bDisplayed. 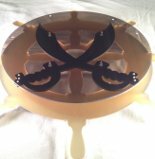 This is Ninimomo’s Silent Auction donation for the 2013 NBDCC. 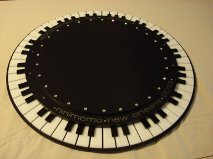 The display created represents jazz and is made as a piano in the round from matte black, gloss black and gloss white acrylic, embellished with crystals. This is Ninimomo’s Live Auction donation for the 2013 NBDCC. 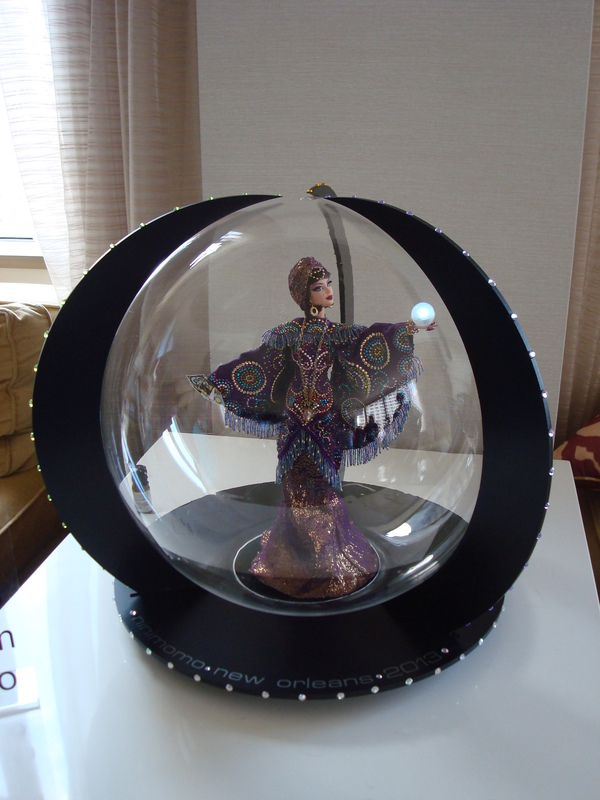 The display created represents a fortune teller’s ball, made from clear acrylic with black acrylic braces and base, with crystals covering the brace edges and base. 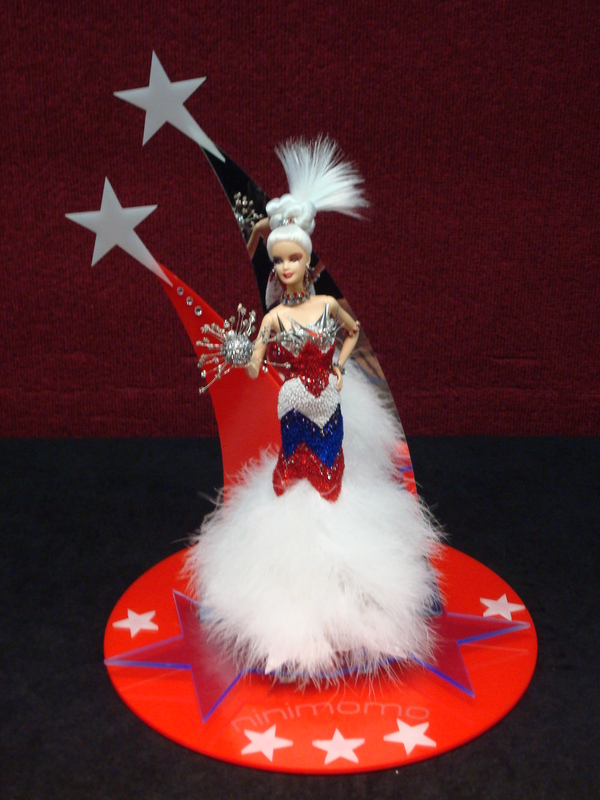 The dolls holds a crystal ball that glows. 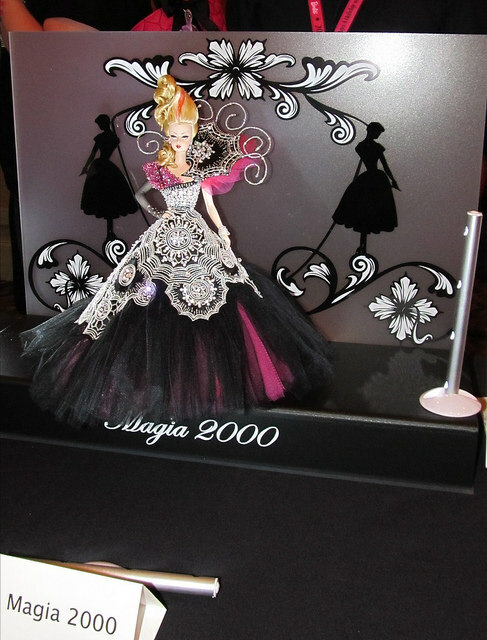 This is Magia’s Live Auction donation for the 2014 NBDCC. 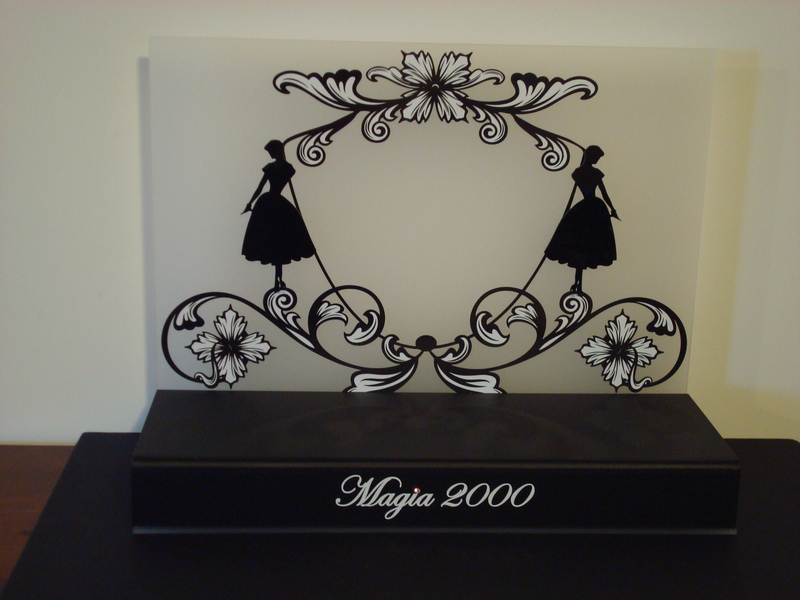 The display created is made of frosted and black acrylics, using Magia’s new logo in black and white vinyl. The ‘ladies’ on the left and right sides of the logo are actually black acrylic, mounted an inch in front of the backdrop. This is Ninimomo’s Silent Auction donation for the 2014 NBDCC. 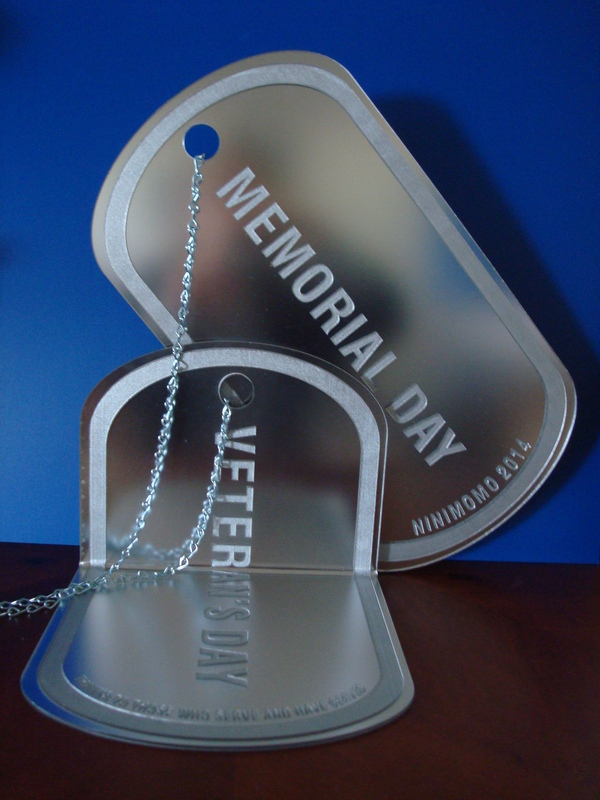 The display created represents Veterans and Memorial Day and is made from etched silver acrylic (it really does look like metal) meant to look like dog tags, complete with the chain. This is Ninimomo’s Raffle Room donation for the 2014 NBDCC. 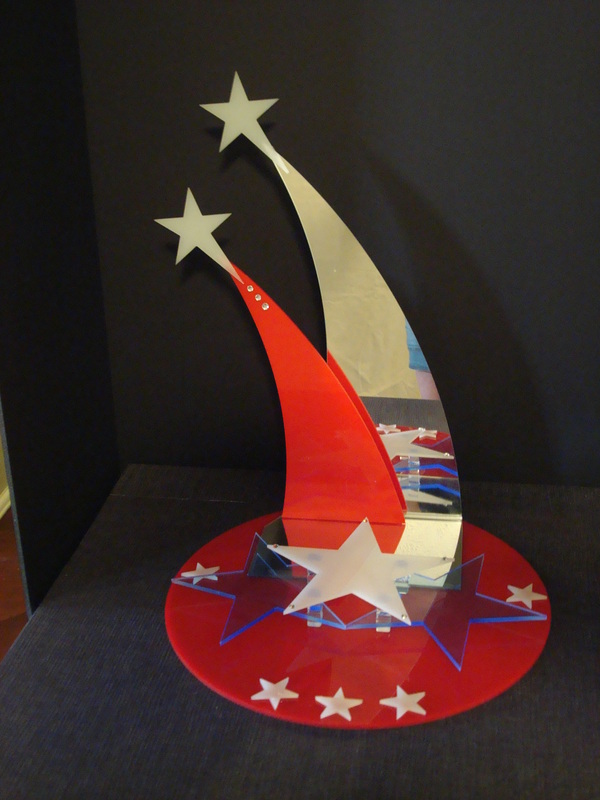 The display created represents shooting stars and is made from acrylics in bright red, milky white, fluorescent blue and mirrored, along with a few crystal accents.